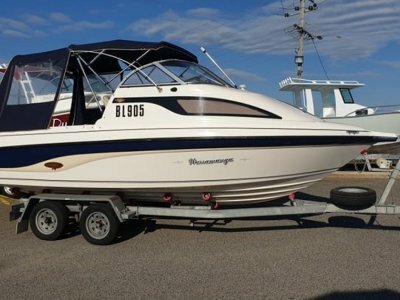 In great condition this Southwind SF-20 is a great example of an Australian made fibreglass cabin cruiser, perfect for a weekend away at Rottnest or cruising up the Swan. Powered by the reliable . 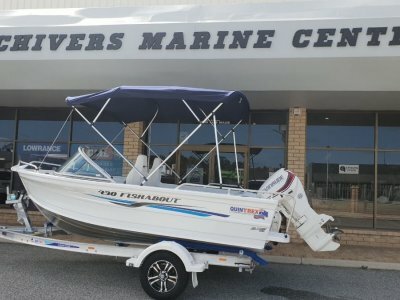 . .
Chivers Shark Series Whitepointer 22ft walkaround well kitted out for offshore fishing, diving or trips away. Feautes a sharp deadrise hull, floodable keel, wide beam and high sides. Powered by a . . . 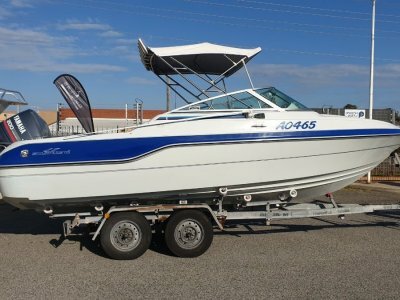 In good all round condition this Stejcraft 6.2m Monaco cabin cruiser is extremely well set up with full canopy and clears protection all round creating a perfect set up for trips away. Well powered . . . 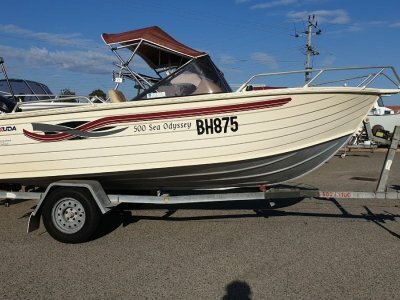 In good all round condition this Bermuda 500 Bowrider has recently been serviced and is ready to use. Powered by a Mercury 60hp four stroke outboard with 324 current hours and sitting on a Recherche . . .
2001 Trailcraft 5.3m Trailblazer, bullet proof & aussie built! Powered by a 90HP Johnson outboard combined with hydraulic steering this is a fishing and diving vessel. All the essentials are . . .
New Quintrex 420 Busta Save More Than $3,000!!! 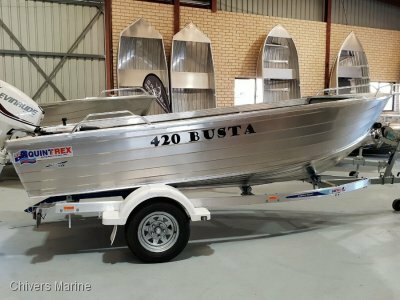 The top selling Quintrex 420 Busta has become a true Aussie icon. 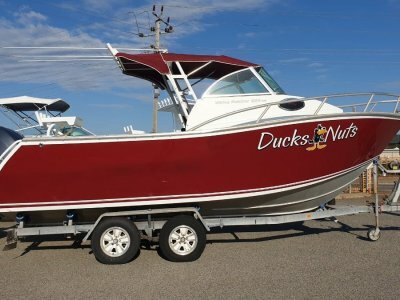 It is the ideal boat to work the Australian coastline where you can always find a river, bay, estuary or creek where you'll find . 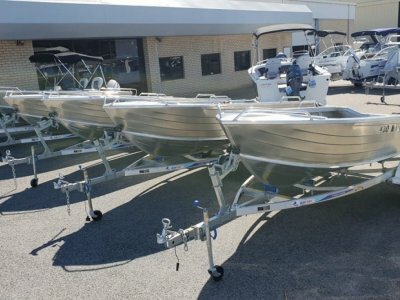 . .
**NEW ARRIVAL, PLATED 2019 Boat: Quintrex 490 Fishabout o 12 Months licensing o Offshore safety gear package o New Blade hull - Cuts through rough water life a knife o Flared bow - Deflects . 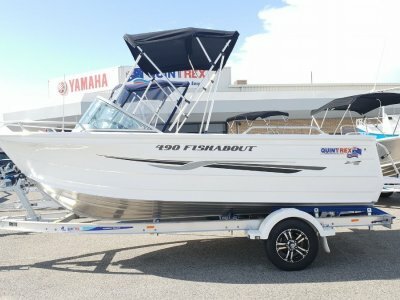 . .
**NEW ARRIVAL, PLATED 2019 Boat: Quintrex 430 Fishabout o 12 Months licensing o Inshore safety gear package o New Blade hull - Cuts through rough water life a knife o Flared bow - Deflects . 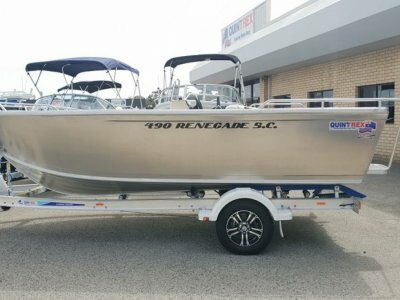 . .
**NEW ARRIVAL, PLATED 2019 Boat: Quintrex 490 Renegade Side Console o 12 Months licensing o Offshore safety gear package o New Blade hull - Cuts through rough water life a knife o 3mm bottom . . .
New Quintrex 420 Busta Packages - New Arrivals, Option to Suit!